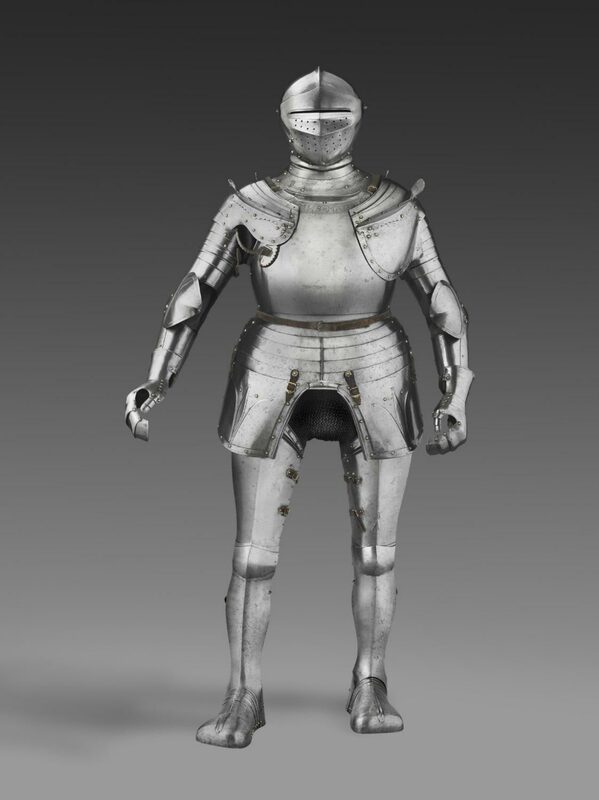 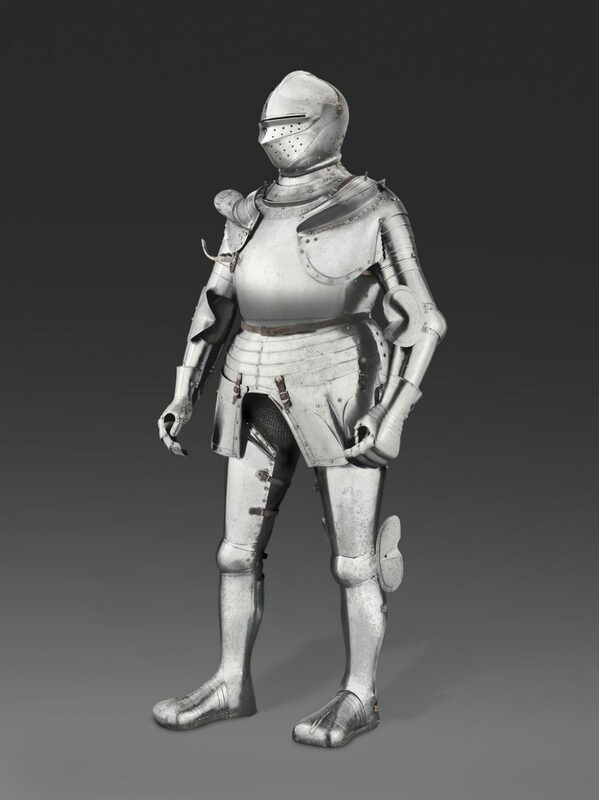 This is perhaps the earliest complete example of an armor in the fully developed German Renaissance style. 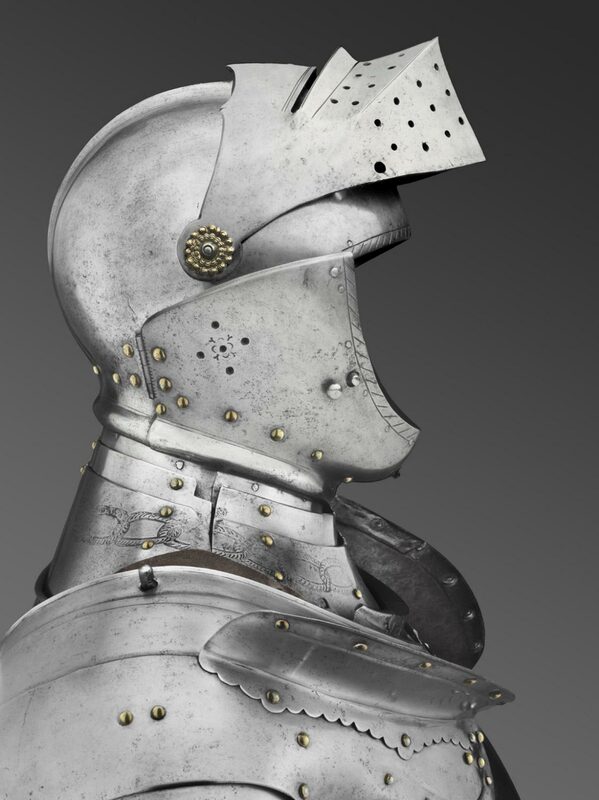 Although it bears neither maker's mark nor date, its form, quality, and construction suggest that it was made in Augsburg, about 1500--1510. 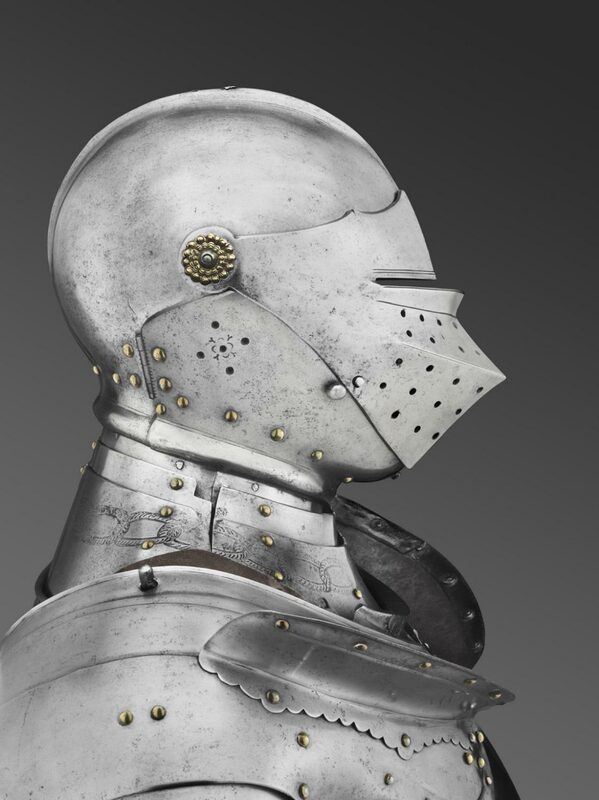 In southern Germany and Austria, this decade saw the completion of a transition in artistic trends, including armor styles, from late Gothic to early Renaissance, a movement encouraged by the close ties between Austria's ruling house of Habsburg and the courts of Burgundy and Milan. 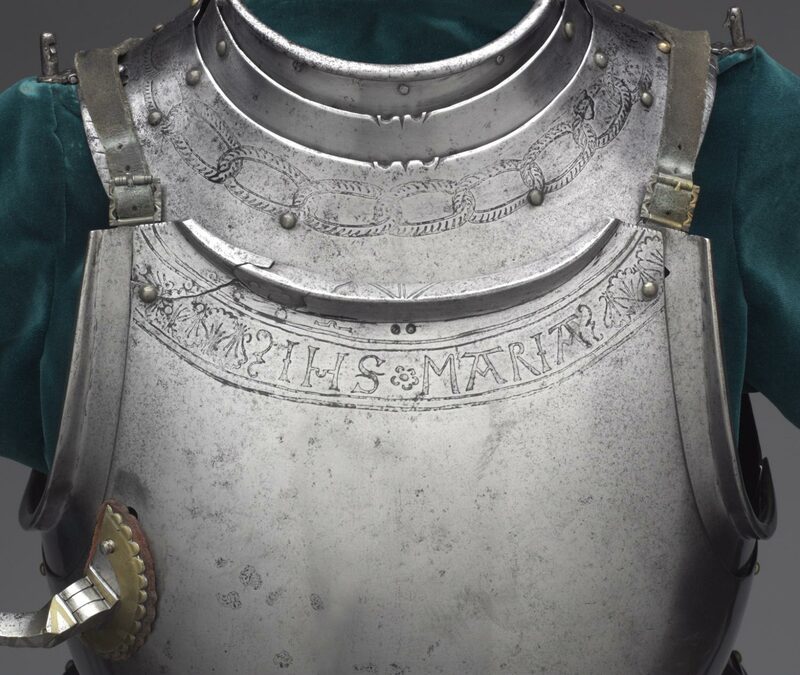 The subtle Northern Italian influence in this armor is seen in the uninterrupted smoothness and full contours of its surfaces, constituting a dramatic change from the attenuated lines and pierced ornament that distinguished the earlier German Gothic style. 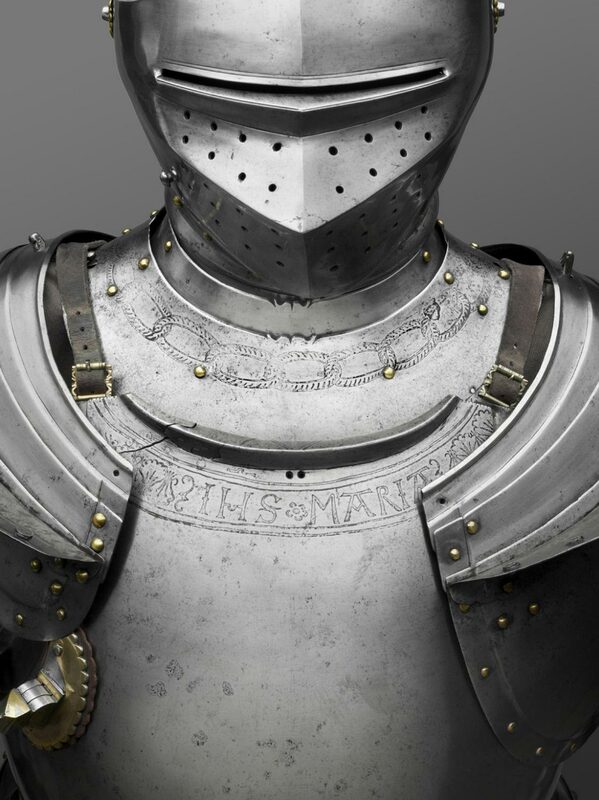 Certain technical features, such as the construction of the arm defenses, are also based on Italian types. 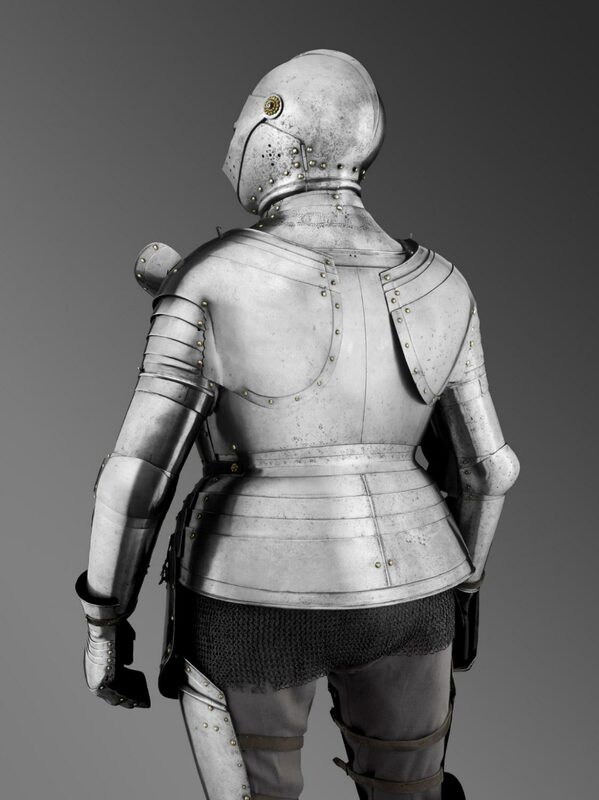 The resulting armor, however, far exceeds its models and heralds a uniquely South German style, which in turn went on to influence armor-making throughout Europe. 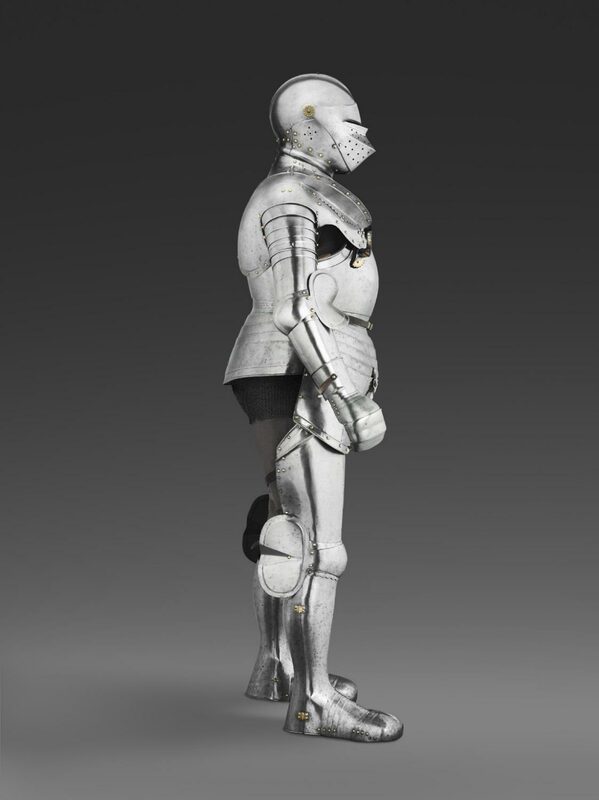 Donald J. LaRocca, from Philadelphia Museum of Art: Handbook of the Collections (1995), p. 120.